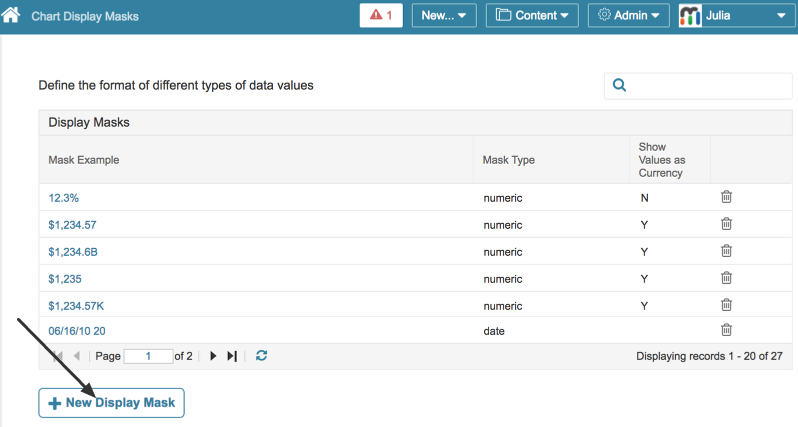 Display Masks are used to control the format of dates and numeric values displayed on a Chart, Report, Dataset. For example: yyyy/mm/dd OR mm/dd/yyyy. 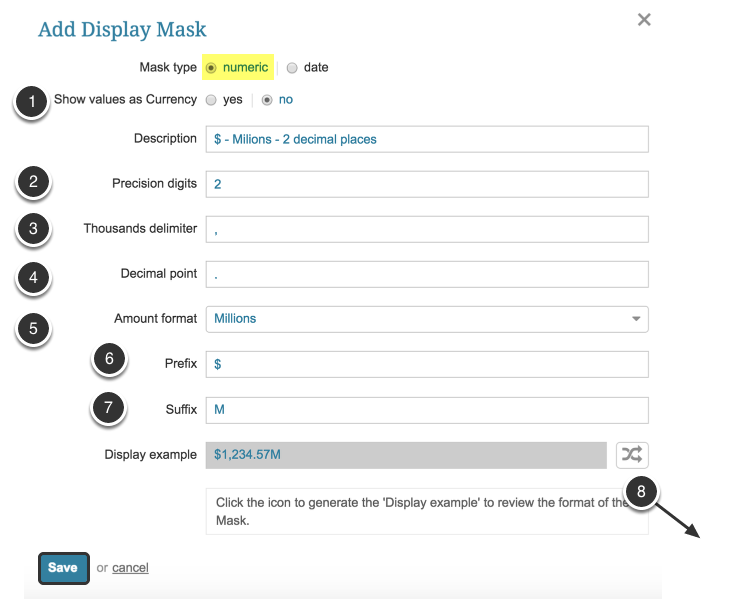 Masks are one of the customizable pick lists that allows Administrators to create a new value 'on the fly' while in the process of defining or managing an element if none of the current Masks meet the requirements determined for an element. The Display Masks screen opens. Click [+ New Display Mask] at the bottom of the page. The Add Display Mask pop-up opens. 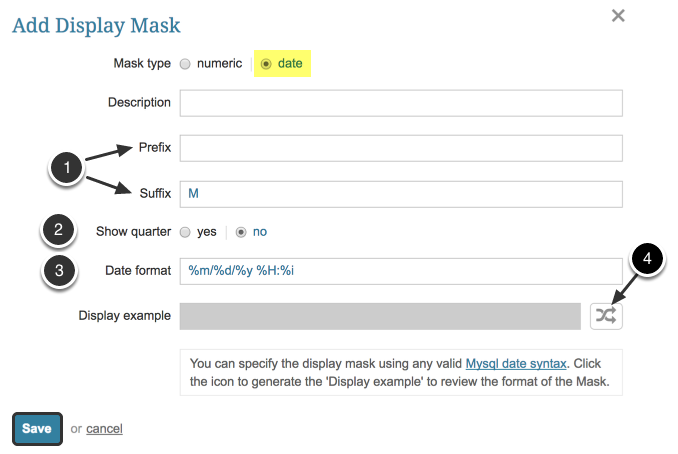 For the Mask type select "Numeric" to define it as a number; for more details on creating a "Date" mask type, see below. Precision digits: Enter the number of digits to be shown after the decimal point character. If no value or zero is specified in this field, the system displays the number as an integer. Decimal Point: Enter the character to be used In US notation, this is always a period; for example, 10.50. This field is not required if the number of Precision Digits is is zero or has no value entered. Amount Format: Select the format to be used from the drop-down list if 'Thousands' or 'Millions' is chosen. The actual value will be divided by 1000 or 1000000, as specified, and rounded to the specified precision before it is displayed. NOTE: Only one Display Mask with the exact same settings is allowed.